Bow tie | That Belongs in a Museum! 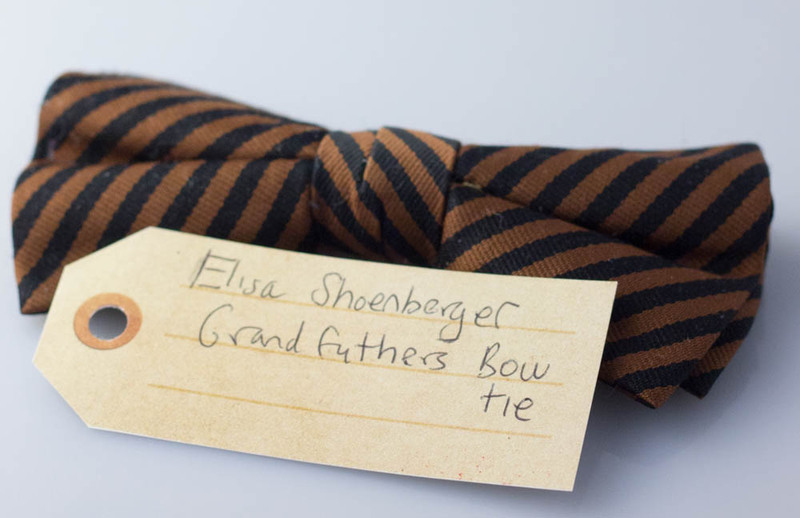 This is my grandfather’s bow tie and I have pretty much been carrying it around in my purse since he died fourteen months ago. It’s kind of interesting to me that I have been carrying it around […] because during his life I didn’t actually notice that he wore bow ties all the time. But when he died[…]we found hundreds of these bow ties[…] I don’t even remember him wearing them, but now this reminds me of my grandfather.